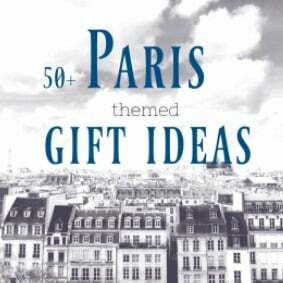 Paris is the hot spot for everyone who likes culture, food, fashion.. or life in general. 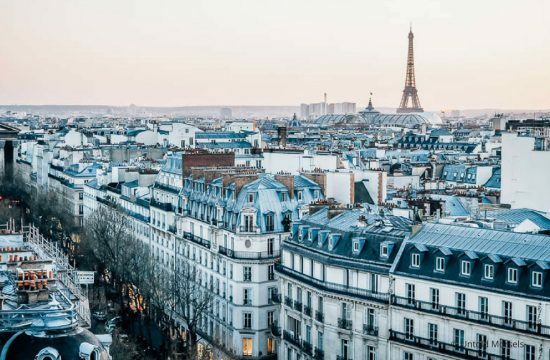 On the list of the most popular cities of the world Paris ranks on place 3, but did you actually know that France is the most visited country of the world? 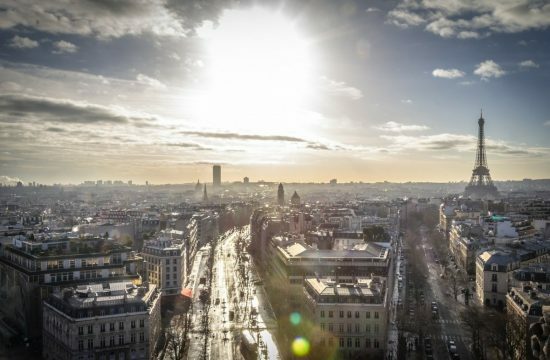 83 million visitors can’t be wrong and if you’re having a spare day during your Paris city escape, take a one day tour from Paris and explore a bit of this beautiful country. 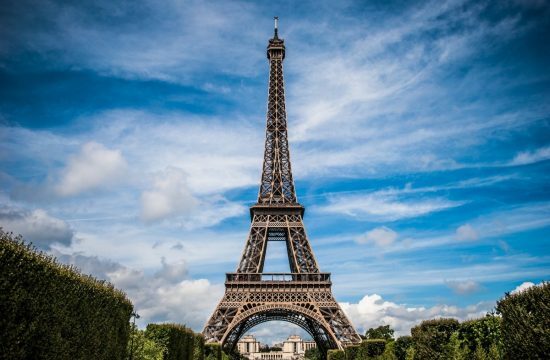 Luckily Paris is within day trip reach of a variety of stunning and just as interesting destinations that will let you take your France experience to the next level. The options are endless but to save your from decision paralysis, I compiled a list of travel bloggers favorite day trip destinations around Paris. 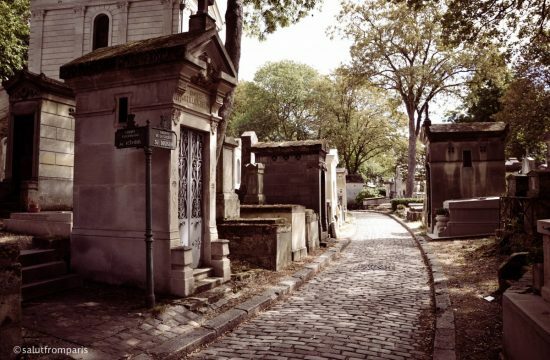 Discover the best day tours from Paris! You may not realize that other French cities, like the stunning and incredible Bordeaux, are only a couple hours away from Paris via train. Bordeaux is a fantastic city for a day trip from Paris. 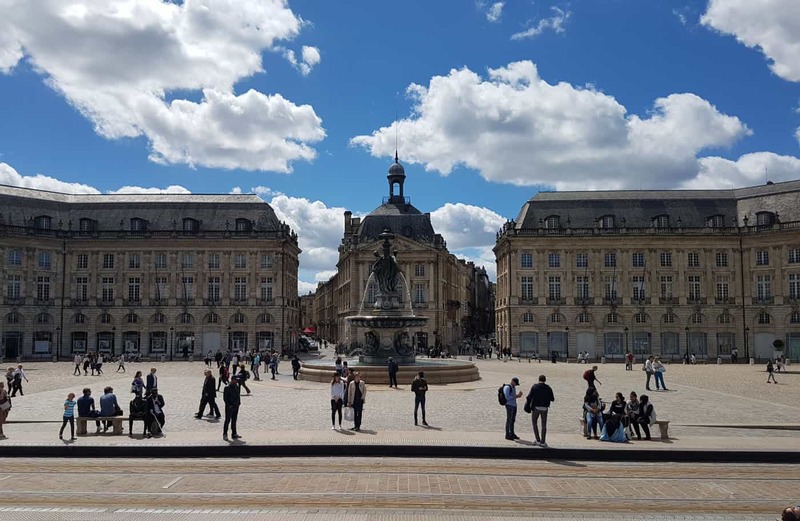 The train station isn’t far from the city center, and the center of Bordeaux is very easy to get around by foot and tram, so there’s no need to worry about a rental car. Bordeaux actually reminds me of a smaller version of Paris. It’s equally enchanting. A large part of Bordeaux has been classified as a UNESCO World Heritage Site due to the incredible architecture of the city. Wondering what to do in Bordeaux on a day trip? There are many great restaurants and museums, and the city is surrounded by world famous wineries and vineyards that you can visit. 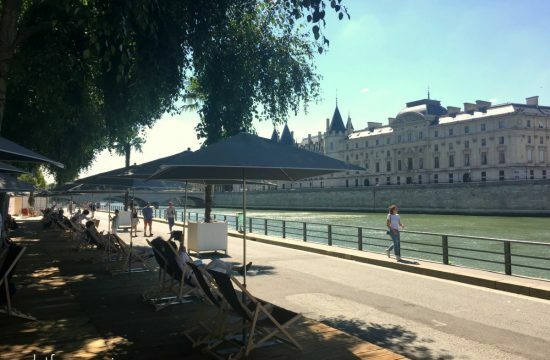 Take an open-top bus tour of the city, walk around the Place des Quinconces and admire the Monument aux Girondins, visit the Place de la Bourse, and be sure to save time for some wine at one of Bordeaux’s many wine bars. Where is Bordeaux? Bordeaux lays 600km south from Paris, yes, 600. That’s not a typo. But with the TGV (high speed train) it takes only 2:20h to get there and makes it absolutely possible to take a day trip to Bordeaux from Paris. The train leaves from the Train Station Paris Montparnasse Bienvenüe (reachable by Metro Line 4, 6, 12 and 13). The earliest departure from Paris to Bordeaux is at 6:52am. The last train from Bordeaux to Paris leaves at 21:04. Best activity in Bordeaux: If you are interested in wine, Bordeaux is the perfect place to do a wine tasting or to take a wine work shop. Click here for more info on a 2h wine tasting course, that leaves you enough time to explore Bordeaux in the afternoon. 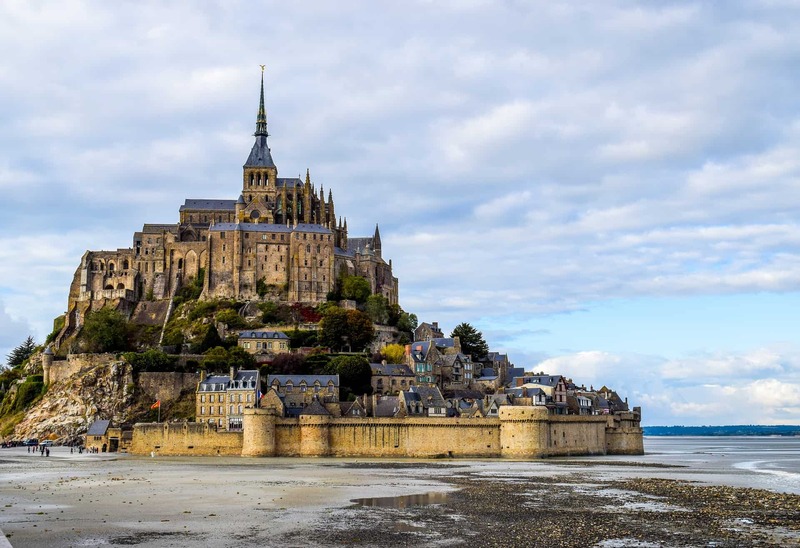 Where is the Mont Saint Michel and what is it? The Mont Saint Michel is an Island about 1km off shore and is home to a monastery and abbey. This Unesco world heritage site lays 360km east from Paris. 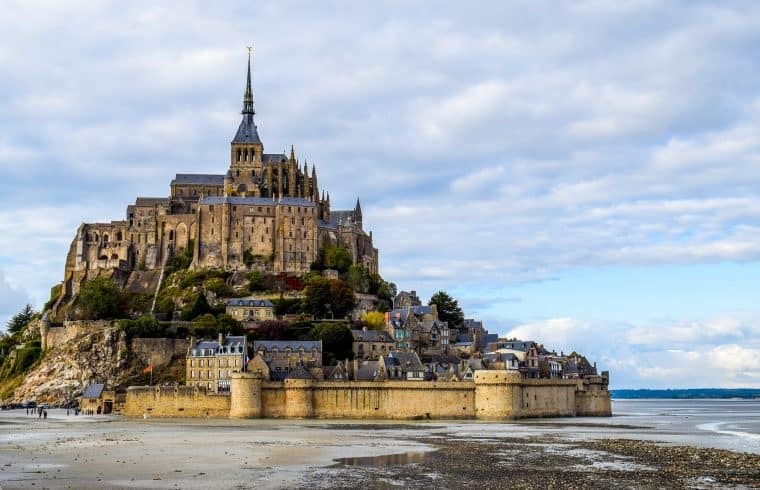 How to visit the Mont Saint Michel: If you don’t have the possibility to visit the Mont Saint Michel on your own by car (you can see prices of rental cars from Paris here) you can also take a guided Mont Saint Michel day tour from Paris. I know it’s utterly far away for a day trip (around 4h drive, one way) but it’s so worth it! 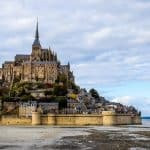 Taking a day trip from Paris to Mont St Michel is clearly on of the best day tours from Paris that you can take. We have been to several castles in France and was awed by Palace Versailles. 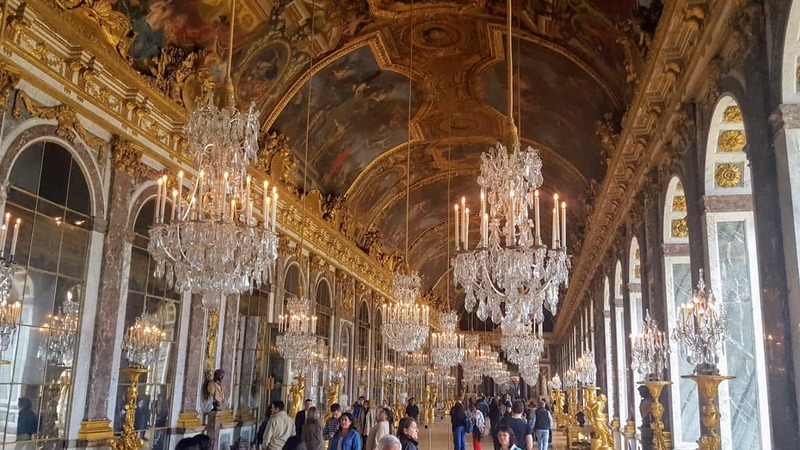 Palace Versailles is a castle you must visit if you are visiting Paris. It takes around 1-hour train ride from Paris to the Versailles station, and it is recommended that you have at least 1 day for visiting the castle, because it is gigantic! The self-tour of the castle takes at least 3 hours! The halls and chambers were all royally decorated with gold accessories. And the Hall of Mirrors is magnificent, the most famous section of the castle. And if you are more adventurous, you can explore their garden. It will take another day for that though. It is highly recommended to visit the castle during summer than winter as the colours of the garden is much more vibrant. And after a long day at the castle, be sure to check out their nearby eateries for their delicious local cuisines. Where to eat? Versailles has quite a few really good restaurants, especially if you fancy gastronomic french cuisine. A very good address is the Les Trois Marches, a restaurant just next to the castle in a cute cobbled stone alley (click here to receive 30% off and to book online). If you prefer a more budget friendly alternative, I can personally recommend the Crêperie Le Blé Noir that serves Galette (hearty Crêpes) and Crêpes. Book here and receive up to 40% discount. take a perfect day tour from Paris and visit the Gardens of Monet in Giverny – Poto taken my ipanematrvls – follow her on instagram! Giverny is the perfect one-day trip for Paris, especially if you are a great fan of Monet and the Impressionism. 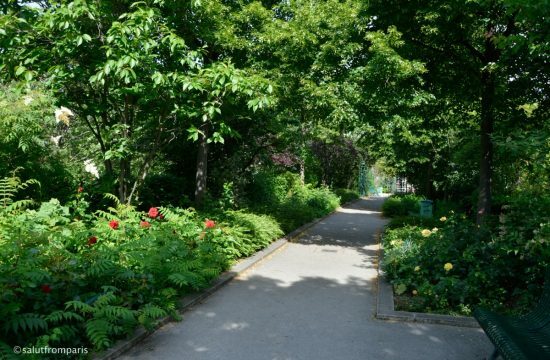 You can reach Giverny easily by car from Paris, it takes about an hour without the traffic. Alternatively, you can take the train to Rouen/Le Havre from the Paris Sainte-Lazare train station and arrive in less than 45 minutes at the Vernon-Giverny station. At the station there are shuttle buses to Giverny. Giverny’s single attraction is the house in which Monet lived from 1883 until his death in 1926. He created there splendid gardens that served as a source of inspiration for his paintings. Visiting the gardens feels like an invisible door opens on one of his paintings and you enter the magic world of flowers, waterlilies, wisterias and the play of sunlight on the water surface. Beside the home of Monet, you can also visit the Museum of Impressionism in the village. There are also lovely art galleries and cafés. The house of Monet is open for visitors from end of March till beginning of November. Although it can be very crowded on a sunny day and the ticket queue at the entrance would take 30 minutes of your life, the beauty of the gardens is so immense that it is worth visiting it! Where is Giverny? 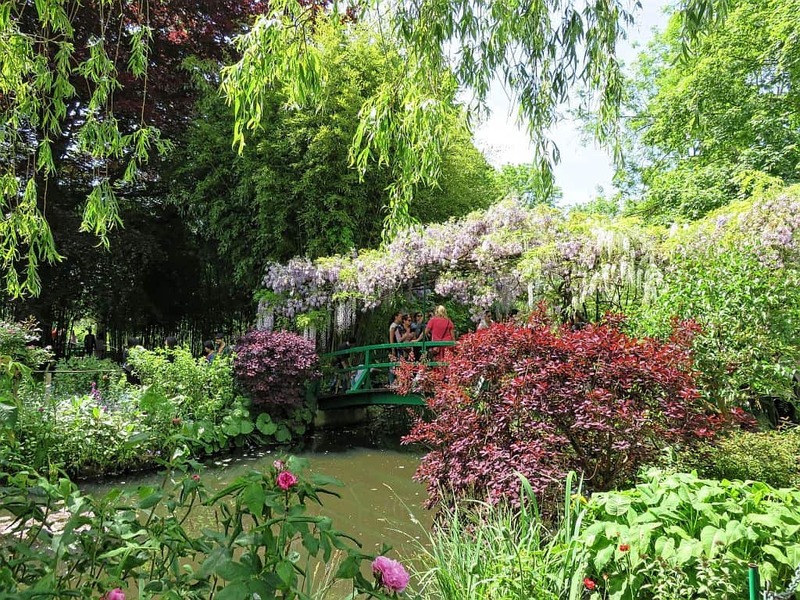 Monets Gardens in Giverny are laying 75km north east from Paris. How to visit the Gardens of Monet best? 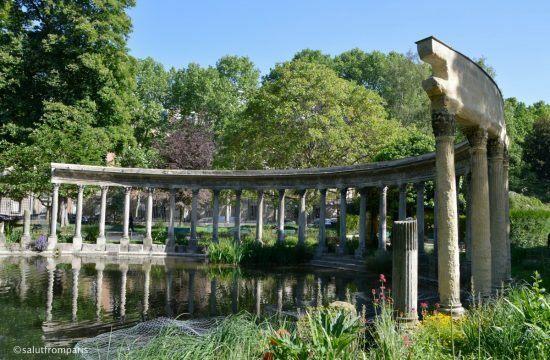 If you’re not up for visiting the Gardens on your own or taking a train from Paris to Giverny, you can simply take a guided day trip tour from Paris. Depending on your travel date, I would personally even strongly recommend this: on sunny bank holidays and weekends it can be nearly impossible to find a parking place and the waiting time to purchase tickets can be more than 2h. 5. 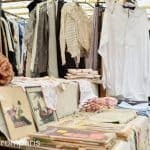 A day tour from Paris to Normandy – visit Dieppe! 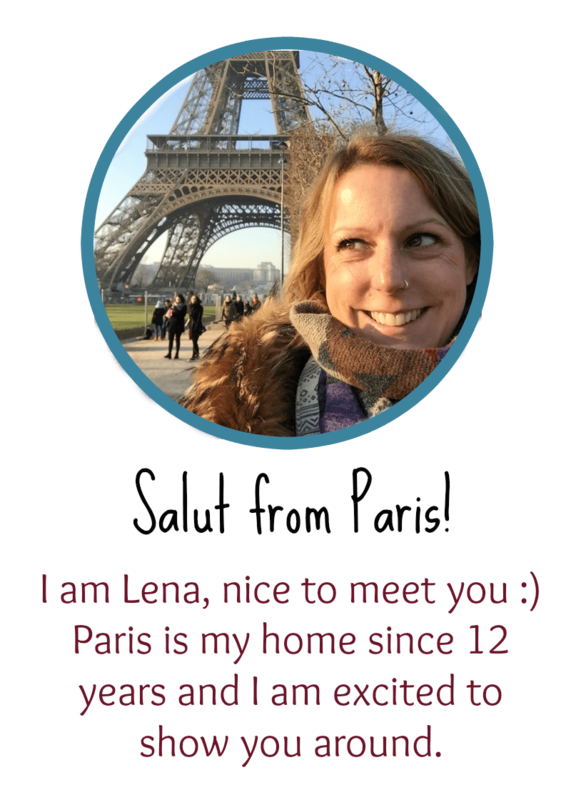 Sweating in Paris in the summer? Hop on a train to Dieppe to enjoy the food and beaches of Normandy! The water’s incredibly blue, the limestone cliffs are an artist’s dream, and my gallete with 4 types of local cheese was life changing. A day trip to Dieppe is the perfect escape! For the practical part: Dieppe is around 200 km North of Paris in the region of Normandy. 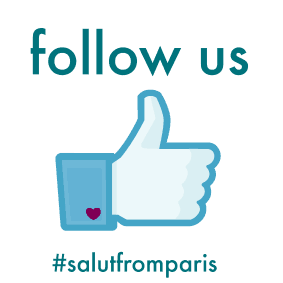 The best way to get there is by train, from Paris Saint Lazare. It costs 19-36 Euros each way and takes around 2 hours. If you’re on a really tight budget, there’s also bus service to Dieppe through Flixbus. Once you’re in Dieppe, throw away your detailed itineraries, because this is a location to be wandered without a plan. The winding streets of the little port town are filled with adorable restaurants, boutiques, colorful houses, and Canadian flags (to honor the fallen from WWII). You can’t miss the gorgeous beach, which is pebbly at high tide and sandy at low. Make sure to bring water shoes to explore cliffside caves and forgotten bunkers. Bored of the beach? Head to the castle, hike the topside of the cliffs, enjoy some pastries, or learn about WWII history. Where is Dieppe? 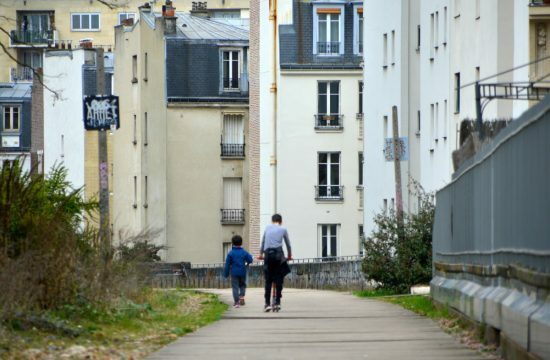 The town at the Alabaster coast lay a bit less than 200km away in the north west of Paris. How to visit Dieppe: Dieppe is easily (and affordably) reachable from Paris by train or Flixbus. 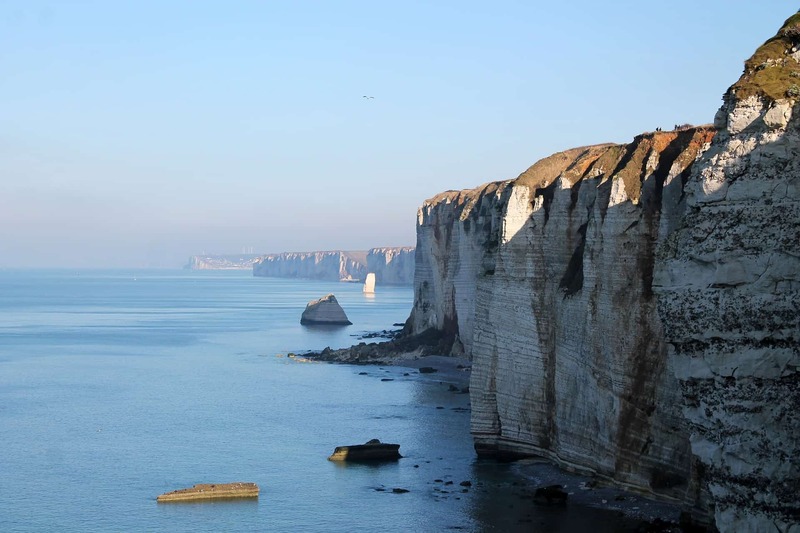 Alternatively I recommend renting a car (click for info): The Alabaster Coast has quite a few beautiful and history loaded landmarks and if you are around, I strongly advice to visit Ètretat as well. The cliff formations are impressive and the itinerary is perfect for a little roadtrip from Paris to the sea. 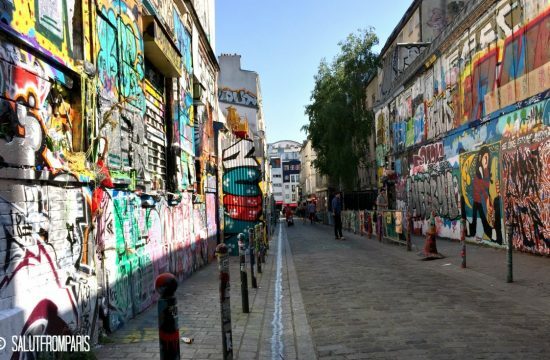 Leigh from The Globe Diary took a day trip from Paris to Reims and spent a great day, check out their instagram account to see more of their adventures! Only an hour’s train ride to the north-east of Paris, Reims is a MUST on your next visit to the City of Lights. 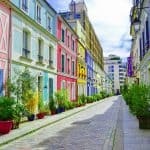 While the small town is undoubtedly known for it’s Champagne houses, the capital of France’s Champagne region is also complete with a world-class fine-dining scene, historical monuments and incredible Art Deco architecture too. That said, the Champagne was the real reason we made this day trip from Paris — and we loved it! Keep these important tips in mind in order to make this day trip worthwhile: Avoid Sundays or Mondays when most of the town is closed. 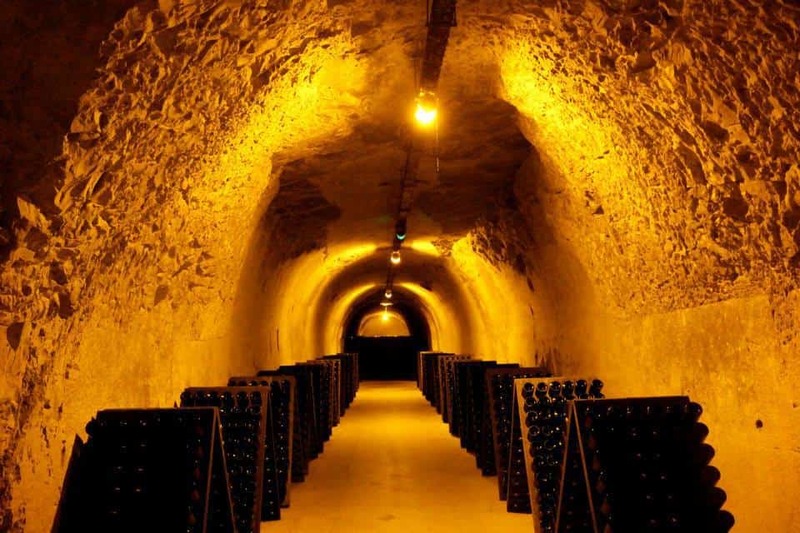 Be sure to include vintage or reserve tastings in your options when visiting Tattinger, Veuve Cliquot and Pommery — where else are you going to get to taste those bottles at a fraction of the price of the bottle?! Your day is sure to be filled with multiple bubbly flutes and several cellar staircases, so remember, you do not need to finish all the Champagne given to you (although you should definitely try!). And lastly, be sure to make reservations ahead — some Champagne Houses require it! One of the best things about visiting Europe is getting to see the castles. France in particular has many amazing castles that are not to be missed. If you find yourself in Paris, a day trip to the Loire Valley is a must! Here you’ll find many incredible castles that will make you feel as if you’re back in medieval times. 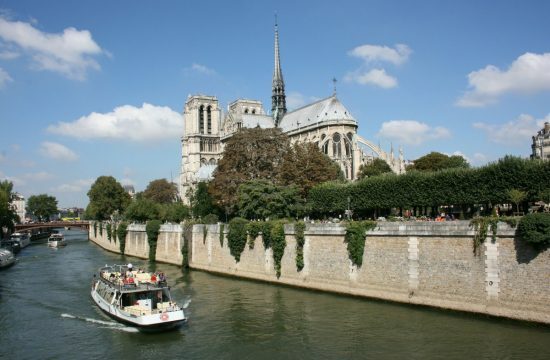 From Paris, you can rent a car and give yourself a self-guided tour or opt for a paid group tour that will take you to the most popular castles in the area. A few of the top castles that should be on your list are the Chateau d’Amboise, Chateau de Chenonceau, and the Chateau de Chambord. If you’re a Beauty and the Beast fan, be sure to check out the Chateau de Chambord – it was the inspiration for Beast’s castle! 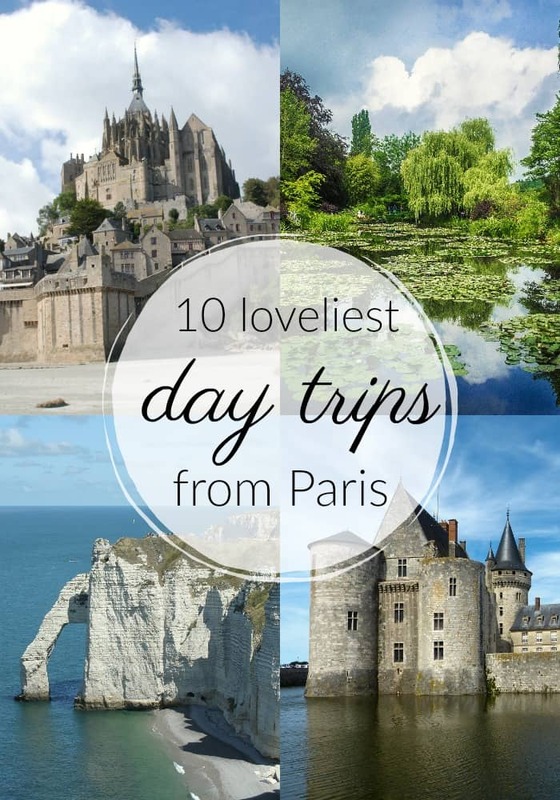 A day trip from Paris to the Loire Valley is sure to add a bit of magic to your trip. Where are the Loire Castles? The famous castles are located in the Loire Valley, a region south west from Paris. 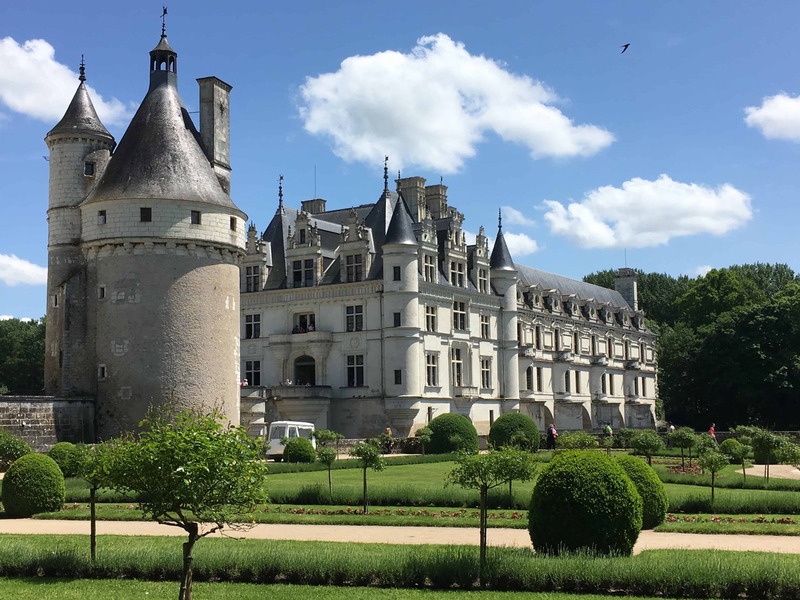 Best way to visit the Loire Castles from Paris: Due to it’s complexity (around 80 castles on a 280km span) it’s impossible to see all chateaux during a day trip and I am not sure anyone would be up for such kind of castle overkill anyway. Around two hours north of Paris is Normandy. Although well-known for its quaint coastal villages, old stone-cottages, ancient wars and the famous Bayeux Tapestry, it is the World War II D-Day Landing Beaches that wrote Normandy into the modern history books. 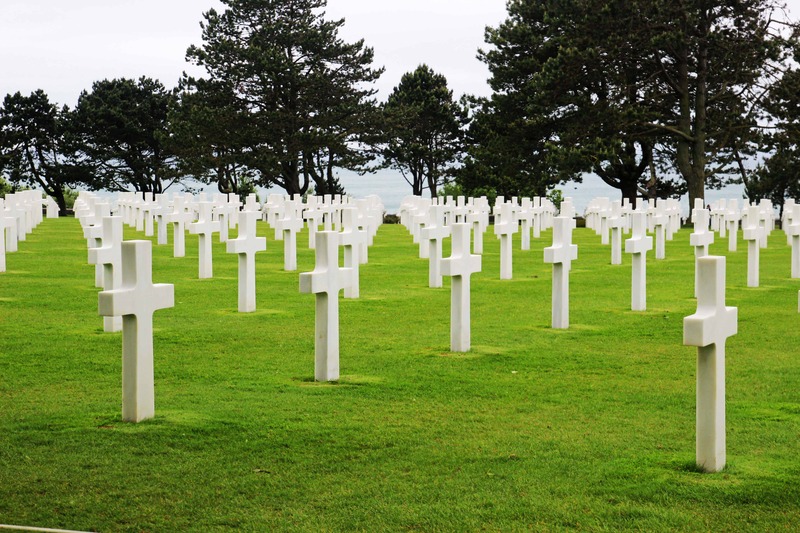 It is on these five beaches – code-named Omaha, Utah, Gold, Juno and Sword – that the Allied forces began the liberation of France from German occupation on June 6 1944 and in doing so helped bring an end to the war in Europe. Today the area is part memorial to those soldiers who were killed during this operation with a number of war cemeteries and museums. You can also visit some of the German bunkers and garrisons still in existence at Pointe du Hoc with their bullet-pocked and bomb-scarred walls. It is a long day trip and best done with a tour guide who can explain the history and significance of the area. Normandy is also known for its delicious cuisine so be sure to visit one of the many restaurants around this area. And while there be sure to also sample some Calvados – the regions famous apple brandy. Where is Disney Land Paris? 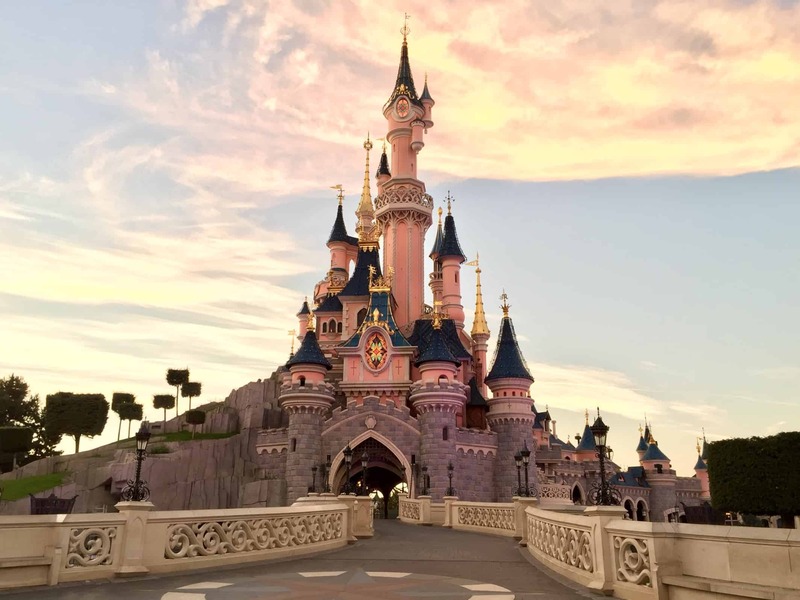 Disneyland is located 45km east from Paris and can be very comfortable reached by train. Where to get tickets? In order to avoid queues, I recommend to purchase your entrance ticket before heading over to the park. Around three centuries old and home to stories I won’t reveal here but absolutely worth listening to from someone in the know, the Chateau Vaux le Vicomte inspired other famous palaces and gardens like those of Versailles. All in all, this chateau was meant to be one of the prettiest at the time so if you are in love with classic architecture, decadence, and grandeur, do not forget to put this palace on your list of things to do near Paris and enjoy a day amongst renaissance gardens, perspective games, decadent high ceiling rooms and hidden pools. Also, make sure to pay a visit to the rooftop lookout. 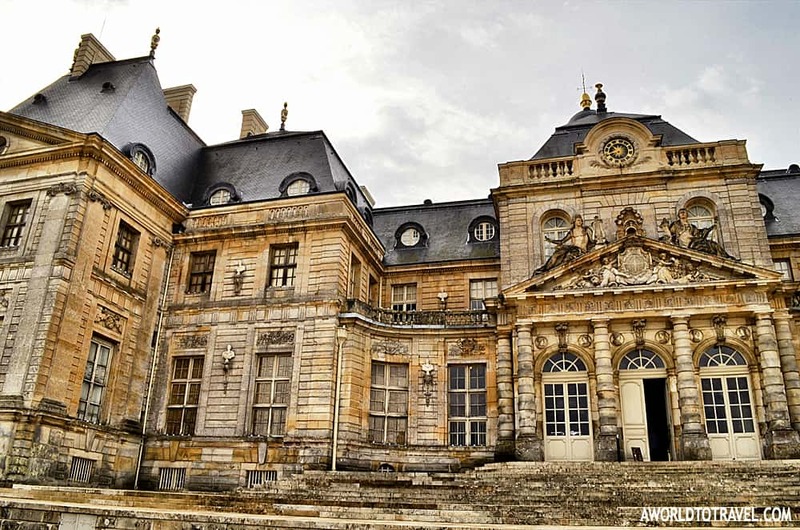 Your best pictures of the Chateau Vaux le Vicomte await you there! Not what you’re looking for? What about a trip to Villa Savoye! Great post- there are so many great choices. I love visiting Disneyland Paris and make sure to visit every time I go to Paris. I agree that the crowds are much less than the other Disney parks in the world (except maybe Hong Kong Disneyland). It makes it easier to see everything in the park in one day with fewer crowds. There are so many fun attractions. I love Crush’s Coaster so much- one of my favourite Disney attractions ever. Thank you so much for your comment.. that reminds me that I really have to go back to Disneyland Paris soon! 🙂 Have a nice day!